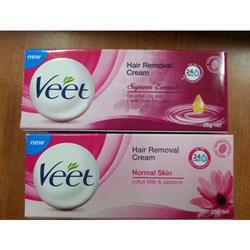 Veet hair removal cream has an active ingredient that dissolves the hair shaft, making it easier to remove. with Veet you can have smooth skin for up to four weeks-avoiding that roughness just above the skin surface you get after shaving. Cream has been clinically & dermatologically tested and is gentle enough to use on legs, bikini and underarms. Enriched with rice oil & grape seed extract to gently but effectively remove hair as well as moisturise & nourish the skin leaving it soft and smooth to the touch. 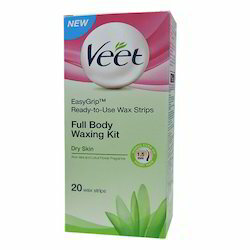 Hair removal cream with aloe vera vitamin E for sensitive skin. Get touchably smooth skin that lasts up to twice as long as shaving.